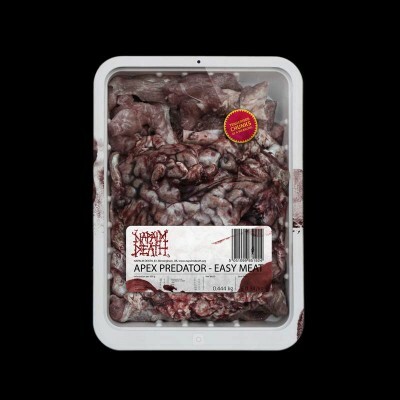 Napalm Death are often referred to as a political band but also frequently referred to as one of the most, if not the most, influential grindcore bands ever. 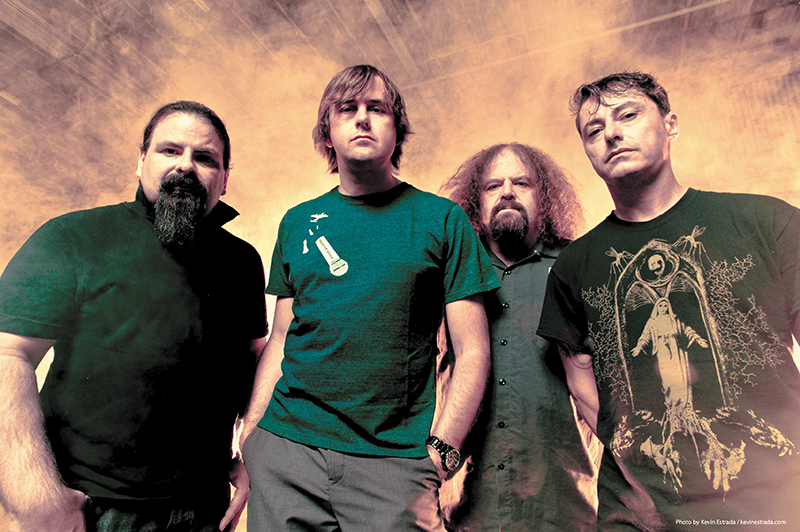 Napalm Death play Salt Lake City at the Urban Lounge on April 29 with openers Melvins and Melt Banana. Napalm Death vocalist and frontman Mark “Barney” Greenway is one of the nicest, most humble guys I’ve ever talked with from the extreme music scene, offering insight into politics and what it means to be human. As a vocalist, Greenway’s voice is more akin to something inhumane, screaming the lyrics he writes in the most violent fashion possible while coexisting with the extreme ferocity of hyper-speed drumming and crunchy/crusty guitars. “That’s the real paradox to it, because the lyrics are about trying to promote humanity and ask, ‘Why is it that a certain percentage of people in the world have completely forgotten or never realized what humanity actually meant?’” says Greenway. Greenway mentioned how dehumanizing exploitative labor is because it reduces people to being components of a machine. When the machine breaks down, you just fix it or buy a new machine. Greenway aims to bring the issue to a bigger stage and help make a difference, but despite the public outcry and news media coverage, at the end of the day, nothing happened—as exemplified by the response to the Rana Plaza tragedy—and the same type of exploitative and expendable labor persists. Joining Napalm Death’s upcoming U.S. tour are the always eccentric Melvins, who, from album to album, have explored and experimented with every musical genre under the sun. Also joining are Melt Banana, a pop/noise/grind band from Japan. A tour with sounds of oddity and extremity is the definition of variety. 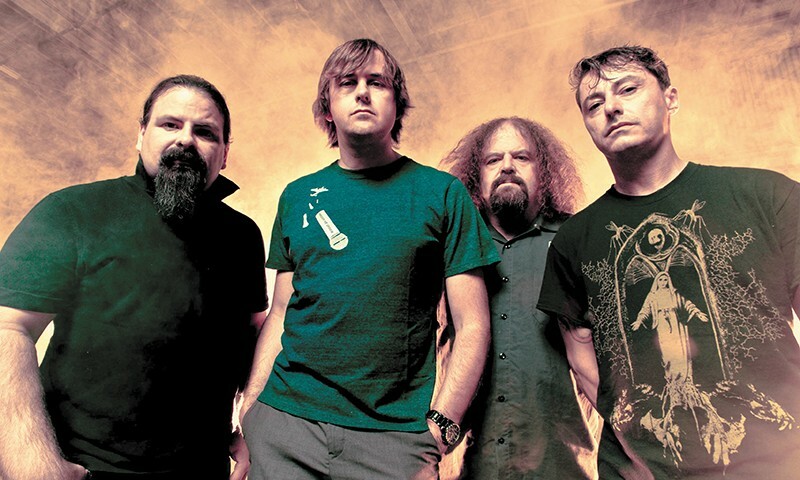 “One of the things that keeps us stimulated is making sure that life has variety,” says Greenway about Napalm Death’s upcoming U.S. tour. That statement epitomizes what Napalm Death are all about: sticking to their musical gusto and not conforming for any reason, but also making sure that they never repeat themselves musically—remaining a genuine band who cares deeply about its art. The art comes to Salt Lake City on April 29. You don’t have to agree with Napalm Death’s views to appreciate the band’s honesty, transparency and, of course, their music.